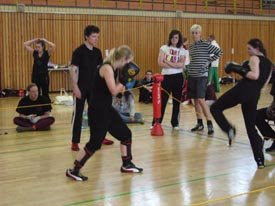 Did anybody hear for students savate sport in Hungary? 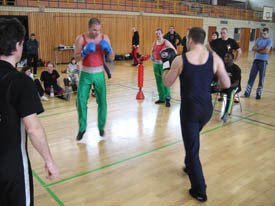 Kickboxing is part of Hungarian student sport although it is not a member ob FISU. 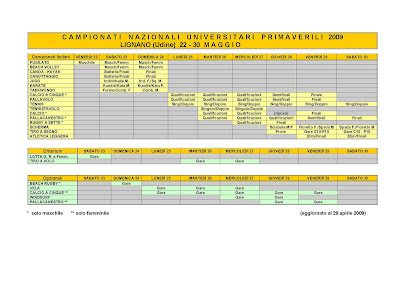 FIKB (Italian kickboxing federation) and Italian savate in it that they didn't make anything about FISU student recognition savate. 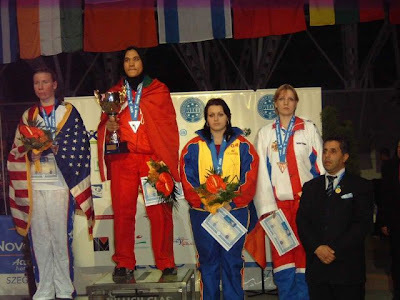 They didn't even try to be seen in a National student competition in Lignano, Udine, Italy from 22th - 30th of May 2009. And don't worry - they are not prepared at all for Students world savate championship 2010 in Nantes, France (FISU), because they are still not part of National Italian student's competition system. Although FISU - (CUSI) Italian headquarter is placed in Rome, from where Italian savate fighters are coming to FIS savate competitions - Ecole de combat I mean. Italian students sport federation called CUSI - Centro Universitario Sportivo Italiano http://www.cusi.it/ don't know nothing about savate. 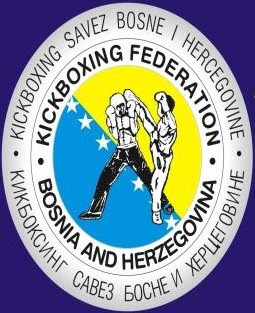 ... and will Serbia savate federation just try to present savate sport during the Summer Universiade in Belgrade? As students sport? Did you hear something? ... but Italian and French savate know for sure what they are doing. I know it. Yes. I like tricky stories. This one comes from IFMA website. ... after big talks beetwen IFMA and WAKO what is thai-kick boxing and what is muay thai ???.... and later also AGFIS intervention with a big man - mighty Hein Verbruggen. Issam Barhoumi - still savateur? T shirts with savate writings, but fight far, far away from savate technique. It is just something like Muay thai fighting with date 12th of April. and Miodrag Rakic president of amateur organization - Savate federation Serbia as delegate in proffesional organisation called Association of professional boxing Vojvodina. 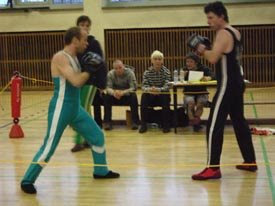 For AGFIS it will be very hard job to proove that savate is an amateur sport and people who works and compete in it. 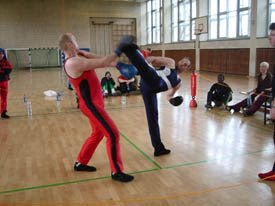 And after all - Savate world combat championship we expect in Vojvodina, Serbia. And we will meet all this people. Yes fighting sports are connected. Just follow the smell of money and this will be your right and the only one direction. Professional fights - boxing: Fleis and Halas will compet for Hungary not for Serbia. And Zoran Cvek - Croatian ex-savateur will be also there. 18th of April 2009 in Narbonne Elodie BERMUDEZ (31) vs Chloe CABARRECQ (94). Not so good as Bordeaux canne de combat, but they have really good tactics how to attract new members - who don't know nothing about stick fighting. Nice music and video. Ilic (USA savate)(Same surname - in Croatia in Rijeka, "once upon a time" there was brilliant savate fighter who was a big hope for this sport in ex-Yugoslavia - but he tragically died in motorcycle accident (crashed in a truck)). Final Round USA vs. Italy, 85kg category. 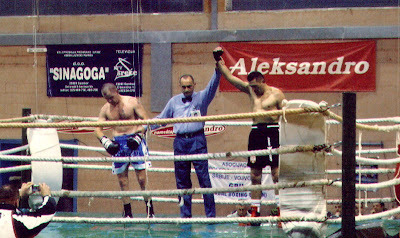 This fight went to Mike Ilic of the USA. Calculate the period of 86 french fighters that need new extended categorized valuation in savate and you will answer yourself which fighters can you expect on one of two competition (assaut or combat) per year we have in savate. Luka Kalmeta (club Pitbull gym)(32 years) - World WAKO-PRO kickboxing world champion (relative of Croatian Minister) arrested - 3kg Cannabis, money, blackmailing. Yes savate relations with kickboxing should go in this friendly direction. This is the way of students FISU university sport. With one word - excellent. 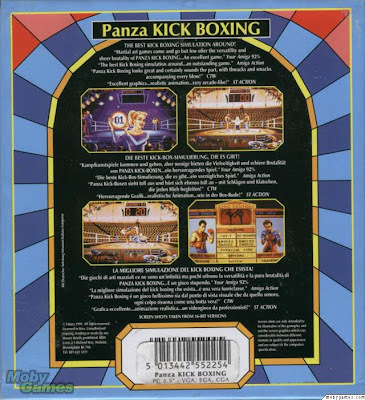 Panza was also national coach of French savate combat team. 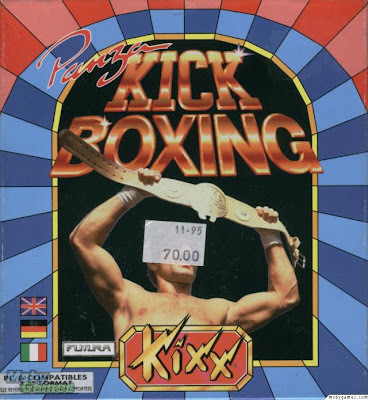 Kickboxer and also ex-savate fighter. Game was released in 1990. Endorsed by André Panza, this game brings Thai kick boxing to the PC, and gives you nice graphics and smooth animations along with over 35 moves. Use the training gym to build up your character's abilities until you feel ready to take on an opponent. You also have to ability to customize your attacks. 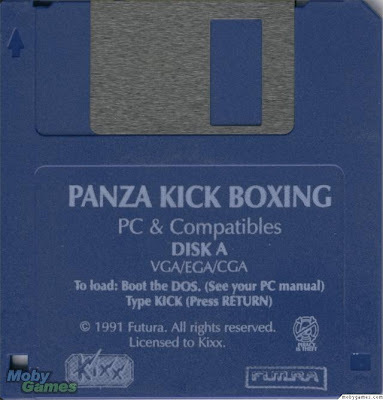 When you are ready, go to the ring to take on various opponents as you try to become the best kick boxer in the game. 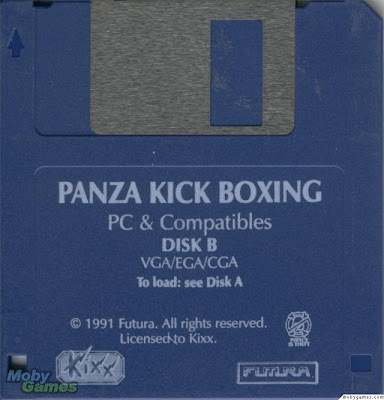 Punch, kick, block... can you survive the fight and emerge as the winner? Amiga, Amstrad CPC, Atari ST, DOS, TurboGrafx-16. George do you have this one? The 1st Asian Martial Arts Games, previously scheduled from 23 to 29 April in Bangkok, due to recent turmoils in the country, have been backed by OCA (Olympic Council of Asia). Mr. Nasser Nassiri, WAKO Asian activities coordinator, confirmed us that new dates are from 6th to 14th June 2009. The programme of the Martial Arts Games stays the same as far as included sports with respective tournaments. The 1st Asian Martial Arts Games, previously scheduled from 23 to 29 April in Bangkok and then, due to turmoils in the country, had been backed to June, are now rescheduled by OCA (Olympic Council of Asia) to 1-9 August 2009. 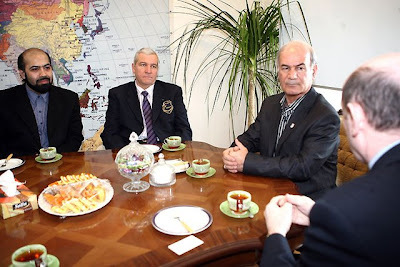 With official invitation of Dr.Hamid Reza Hesaraki, president of Iranian Savate association and Iran Olympic committee, the president and officials of international Savate federation attended to Tehran and had official meetings with the sport authorities of Iran. 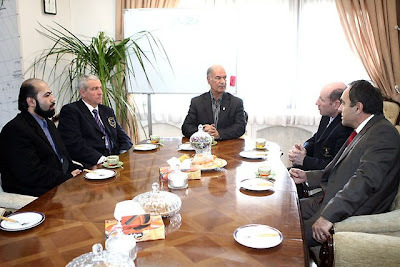 Based on this report, Mr Gilles LE DUIGOU, president of FIS, Mr COUTELIER Jean-Paul – president of France Savate federation and Mr.Joel Dhumez, while attending to Tehran had official meetings with Mr.Bahram Afsharzadeh, secretary general of Iran Olympic committee and the president of Iran Karate federation. 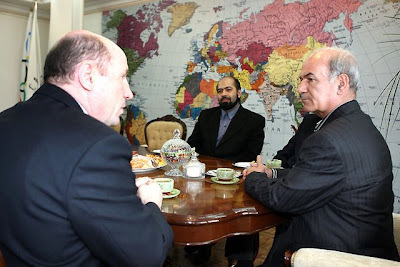 The important point was the great role of Iran in developing Savate in Asia and the satisfactory work of Mr.Hamid Reza Hesaraki the founder and president of Iranian Savate association. Mr. Gilles LE DUIGOU, the president of FIS, emphasized the new job of Mr.Hesaraki as the official representative of him and the chairman of Savate development in Asia and Oceania. 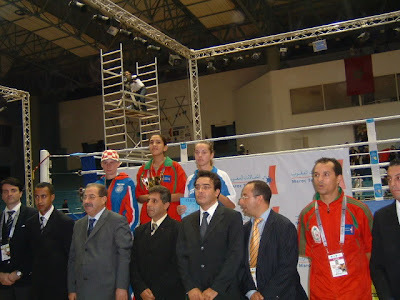 Mr.Hesaraki is also the first Iranian and Asian as the secretary general of FIS and Savate federation of Asia. Working on WAKO tournaments - but active also as FIS as a member of Board of Directors. Do you recognise him? Isn't he Abdelkrim EL HILALI? 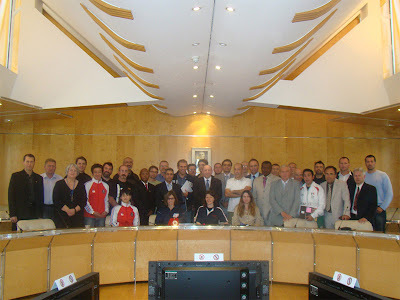 as FIS member of Board of Directors (near - left of president FIS Gilles Le Duigou) and of course VICE PRESIDENT OF INTERNATIONAL SAVATE FEDERATION. Slobodan Garic - Bosnia SAVATE no more savate man? Did he turned to ju-jitsu? Oriental styles? Look FIS site: Now there are different people from Bosnia. They rotate. But they keep the same mail of Mr. Slobodan Garic. Weird. 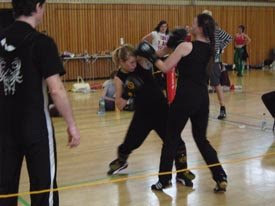 What can we say for savate this days. 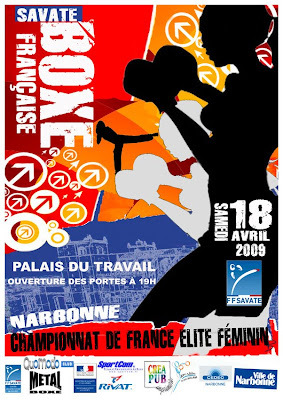 Is savate still FIS or more WAKO kickboxing organisation? We have to ask ourselfs - what to do in the future? 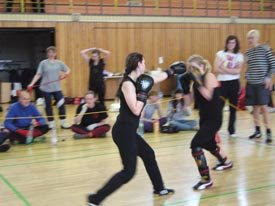 To join with FIS kickboxing WAKO or stay outside with France and nobody else? It was international tournament without any invitations. Bravo. So called Savate style of promotion. Can you see Hungarian assaut/combat representative - Tamas Varga (left)? His brother Manuel who works in Japan is much, much better fighter and also french savate champion combat 1982. Rome SAVATE are you OK? Savate not anymore in INSEP?